Browse: Home / Cuckoo Sandbox v-2.0-dev released : is an automated dynamic malware analysis system. 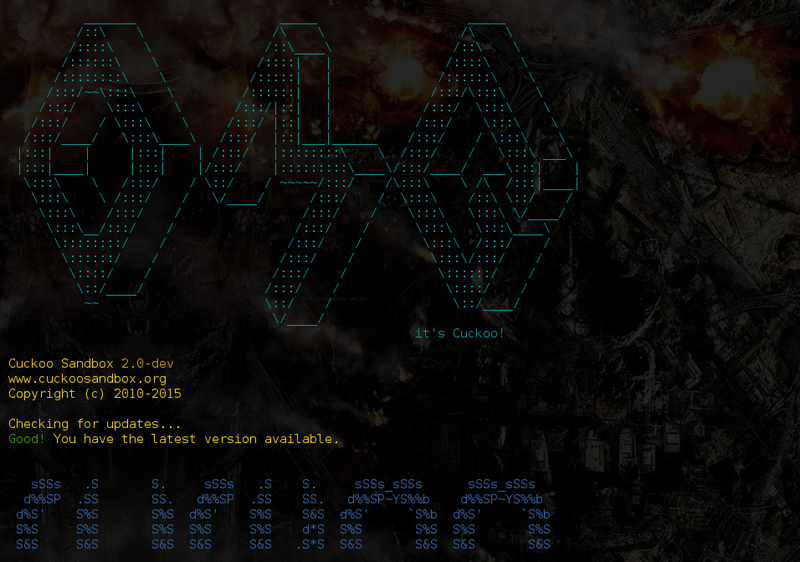 Cuckoo Sandbox v-2.0-dev released : is an automated dynamic malware analysis system. – modules; report owner in analysisinfo module. Cuckoo Sandbox is an automated dynamic malware analysis system. What does that mean? It simply means that you can throw any suspicious file at it and in a matter of seconds Cuckoo will provide you back some detailed results outlining what such file did when executed inside an isolated environment. ← Nishang v-0.6.0 released: PowerShell for penetration testing and offensive security.